Your support of the Junior League of High Point helps to expand our community impact programs and build future community leaders. There are several ways you can help today! Sponsorships help make our events great successes each year. To find out how you can sponsor one of our fundraisers, click here. 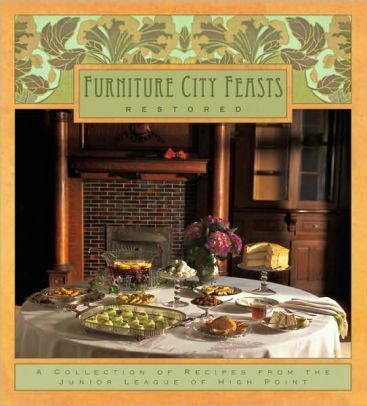 JLHP's own, Furniture City Feasts-Restored, contains 274 recipes from our members, past presidents, and local chefs. These cookbooks are the perfect addition to your kitchen and make a wonderful gift. Contact our HQ to purchase your copy today, cookbooks are only $5.00 each! The Junior League of High Point, Inc. is working to create a better community. But, we can only do it with your help. Join with us in our mission now!